Alex Murphy, the legendary St Helens rugby league player, turned back the clock to give a rallying cry to green belt campaigners in Bold and Clock Face. Murphy, who was awarded the OBE for services to rugby league in 1998, gave a rousing speech at a packed public meeting at Clock Face Miners Recreation Club on Tuesday night. The meeting had been called by the Bold and Clock Face Action Group, a local campaign group who oppose the development of green spaces outlined in the St Helens Local Plan. Murphy, regarded as one of the greatest halfbacks in the history of the British game, took to the stage during the meeting in support of the cause. 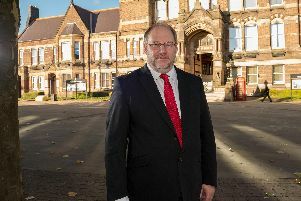 The former player and coach, known as an outspoken figure during his career, did not hold back as he stuck the boot into St Helens Council, adding that he was prepared to lose his freedom of the borough by supporting the campaign. Murphy, who turns 80 next week, said: “We stick together. We can make these people sorry they’ve ever thought about building round here. We’ve got to stand up and be counted. Currently there are two green belt sites in Bold that have been allocated for housing in plan. A 133-ha site – part of the Bold Forest Garden Suburb – on land bounded by Reginald Road, Bold Road, Travers Entry, Gorsey Lane and Crawford Street, is earmarked for around 3,000 homes. In the current version of the plan, construction of around 480 homes is expected on the site before 2035, with more than 2,500 homes earmarked for after 2035. Land south of Gartons Lane in Bold has also been earmarked for around 520 homes during the Local Plan period, with 49 proposed after. The submission draft Local Plan 20120-2035 was approved by the Labour-run council in December. 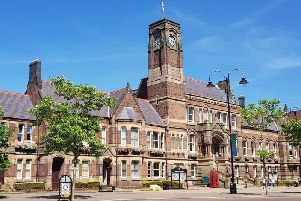 After firing up the crowd, Murphy urged residents to back Bold and Clock Face Action Group and suggested taking the fight to the steps of the town hall. “What we’ve got to do is go together, back these fellas,” the Saints legend said. A publication consultation to allow for comments on the St Helens Local Plan is due to close next month.